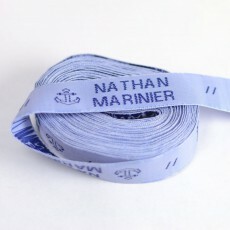 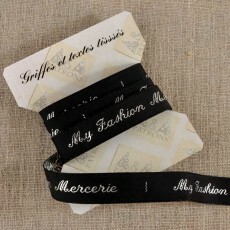 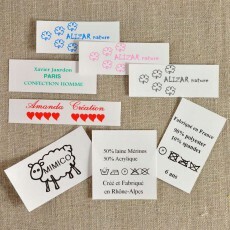 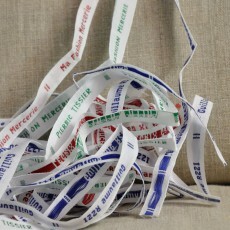 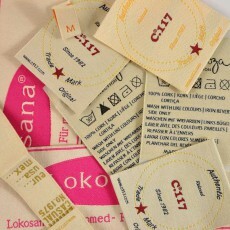 The customization degree of our printed or woven labels is very wide. 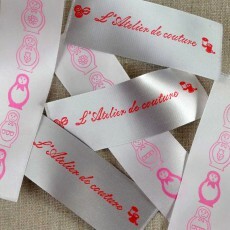 You can choose: width, font, background color, writing color , icons to enhance your text, etc .... 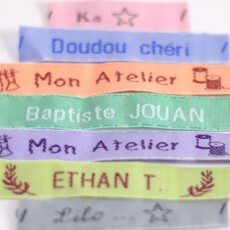 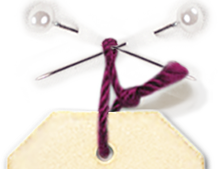 Some labels are even offered woven in gold or silver thread .